We are a leading destination for people seeking a cosmetic and plastic surgeon in Toronto. Our state-of-the-art operating facilities, recently completed in March 2006, meet the exacting standards of hospital-based operating rooms. Tremendous effort has gone into ensuring the comfort, safety and privacy for all patients. 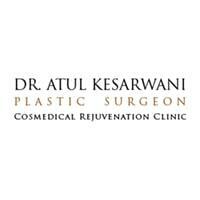 The clinic offers the latest surgical and non surgical treatments that meet Dr. Kesarwani's high standards.